In the light of the collaboration between Pharos University and Erasmus–Expertise Program and Francophone University Association (AUF), a seminar entitled ” Interculturalism” was held on Tuesday 17th October 2017 at the Faculty of Languages and Translation- Pharos University. 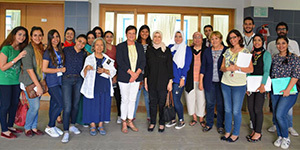 The seminar was given by Dr. Jacqueline Bergeron, the President of Erasmus Expertise Program where she addressed the issue of ” Exile” and its different types in the presence of faculty members and students of the French Department. 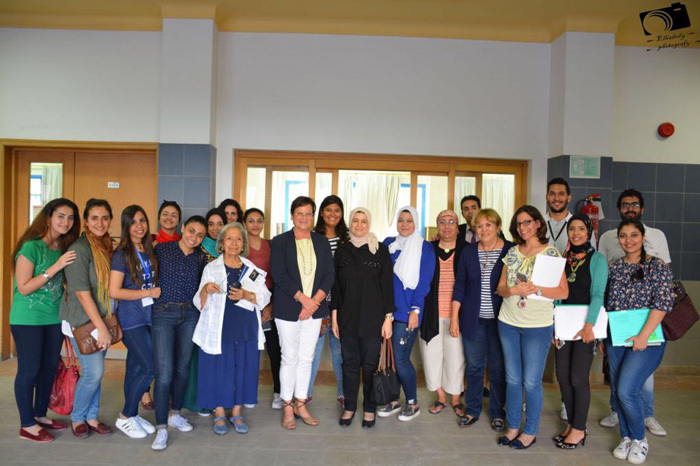 The seminar was coordinated by Dr. Nermeen El-Sawy, the Vice Dean of the Faculty of Languages and Translation and the PUA Francophone Relations Coordinator. The seminar was held under the supervision of Prof. Leyla Kamel, the Dean of the Faculty of Languages and Translation.